All publicly traded companies are required to release an income statement either quarterly or yearly. There are three major items that complete the structure of an income statement – revenue, expenses, and net profit. It shows the company’s performance over a particular period of time. In other words, it is a company’s profit and loss account. There are two sections in an income statement – the operating section and the non-operating section. The operating section deals with the day-to-day business activities of the company whereas, the non-operating section records all the revenues and expenses that are unrelated to regular business activities of the company. Mainly, income statements are prepared for the purpose of assessing a company’s financial performance over a specific period of time. The performance could be presented quarterly or yearly. Various stakeholders are interested in knowing how well the company is functioning, which are the business activities that it has undertaken, what are its revenue and expense figures for the year etc. For instance, the following income statement of a toy company shows us its performance during the year 2018. This income statement of Teddy’s Toy Shop, Inc. shows that the company performed well as it made a net profit of $18,650 in the year 2018. Through the income statement, the reader is able to comprehend how profitable the business is and what are the various business activities that the company has undertaken. We are also able to determine the amount of profit or loss that was generated over the course of a particular period of time. If one was to put together income statements from a consecutive number of years, a trend analysis can be done as well, to determine the change in revenue and expense items over time. For example, gross profit is a figure which can be arrived at by deducting costs related to making and selling of the company goods and services from the revenue or sales figure. Gross profit helps us understand how well the company is using the resources at hand and producing goods or services that customers are willing to pay for. Further, we can also calculate operating profit which is simply, operating expenses subtracted from the gross profit figure. The operating profit is also known as EBIT or earnings before tax. This tells us what is the company’s profit before its interest and tax liabilities are accounted. Firstly, shareholders would be interested in knowing what the net profits of the company are for that year, as the dividends that they could receive are dependent on that. Secondly, potential investors would like to assess the performance of the company so as to determine whether it is worth investing their money in the company. If the income statement shows that the company is not profitable, investors would not put their money in such a venture. Thirdly, there are creditors who would be interested in knowing whether the company is generating enough income to pay back its debts. For example, a potential investor would look at a three-year trend of the net profit of Teddy’s Toy Shop before deciding to invest in it. In this scenario, the year-end income statement will come in handy. Hence, potential investors, shareholders, creditors etc. do not have access to information about the financial performance of the company. Their only source of information is the income statement. Another set of end users for whom the income statement is of use are the internal users. The management of the company works throughout the year and hence, the annual income statements are not that useful. For them, quarterly income statements give them the benefit of focusing on the status of operations all throughout the year. Further, to break down revenue and expense figures as per the business areas, there may be department wise statements prepared as well. The managers and the board of directors also use the income statement to assess the entire business and make decisions about how to operate it on a daily basis. It is used as a management tool as it helps them decide whether to discontinue a business segment, to buy certain materials, to lease or rent certain machines for production. 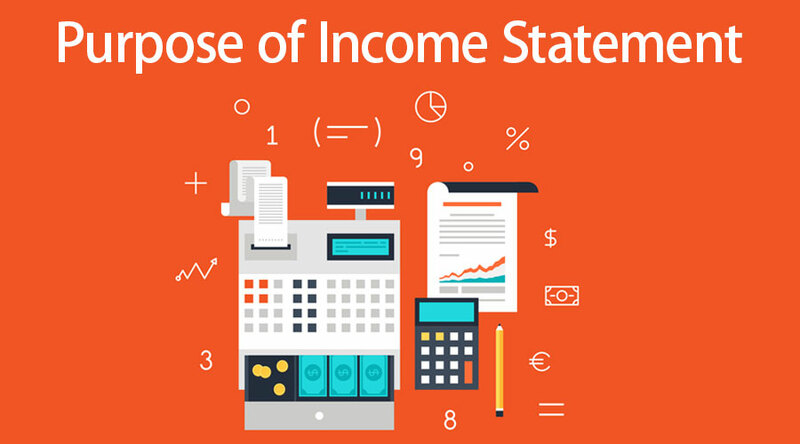 All this depends on different aspects of the income statement. For instance, if the interest expense is too high and is eating into the profits of Teddy’s Toy Shop, then the company would want to shift the location of the shop to an area with cheaper rent. An income statement is an important indicator of a company’s financial health. It basically helps the reader to determine whether, during the course of the year, the company has overall made a profit or incurred losses. A company which is not profitable will not attract investors and even existing shareholders would start selling their shares. Not only the company management but also other stakeholders like potential investors, shareholders, banks, creditors, tax authorities, suppliers etc. have one or the other use for the income statement.